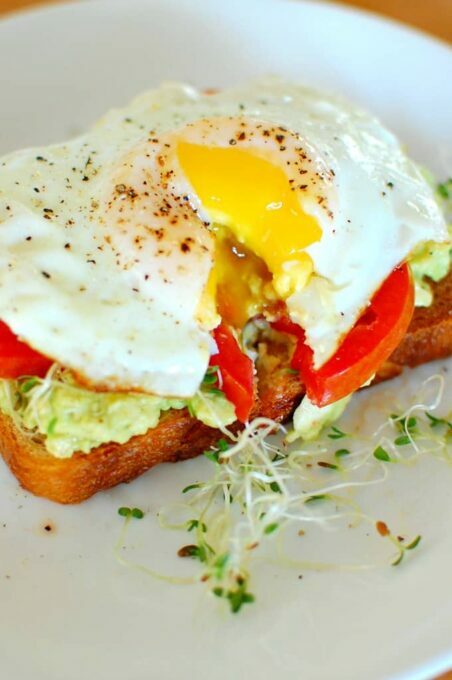 Avocado toast with fried egg! Breakfast is served. Yummy and totally satisfying. And it is so good with Mary Jo’s alfalfa sprouts and a little sliced tomato. I could definitely have this 2 or 3 times a week for breakfast or even for lunch. 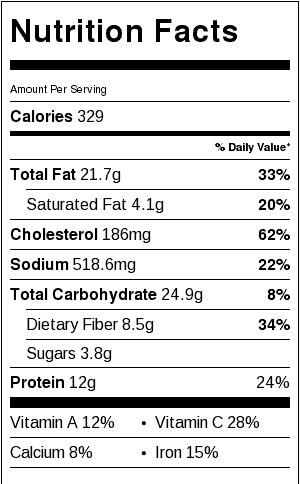 So avocados…in particular the most available kind, Haas avocados are full of healthy benefits you should check out. 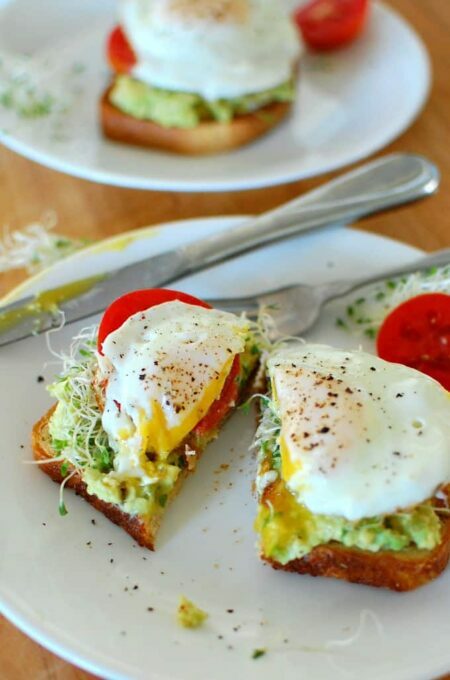 Here’s an article explaining the 19 Best Benefits of Avocados. There are lots of varieties of avocados but the “Alligator Pear” or Haas is the kind in most stores. Haas is the kind with dark green, bumpy textured skin. It is picked and only ripens after picking. That’s why you sometimes have to bring them home and allow a couple days for them to fully ripen. There is nothing worse than hoping to make some guacamole and have an avocado that’s still too hard to mash. 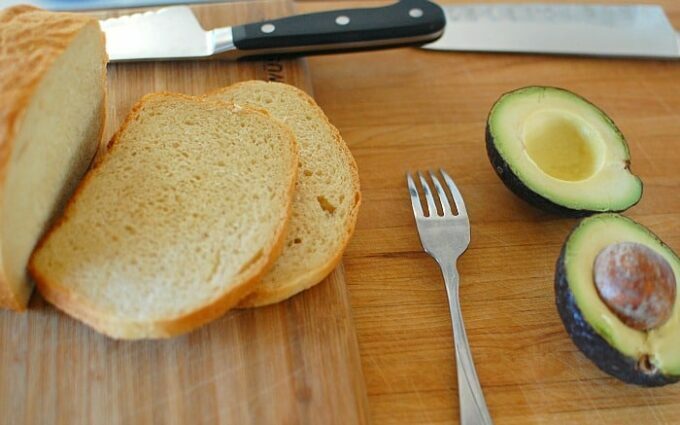 If you can squeeze the avocado and a slight impression can be made, the avocado should be ripe enough to eat. Another way to check the ripeness is to check the stem. If you can easily remove the small stem and the skin under it is green and when squeezed the skin gives a little, you should be good to go. If the skin under the stem is brown, the avocado is overripe, and when squeezed it gives quite a lot. Overripe avocados have brown spots from age and bruising. Alternatively, if the little stem won’t come off, the avocado is obviously not ripe yet. 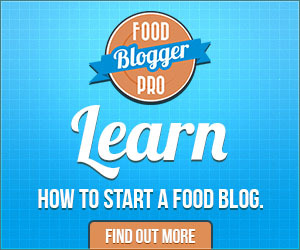 You can take a look at a couple other of my recipes which use avocados. Tex-Mex quinoa brown rice grain bowl is one, and Avocado salad dressing is another to try. I started out with a couple slices of Mary Jo’s home baked sandwich bread. This bread is 75% white bread flour and 25% whole wheat. 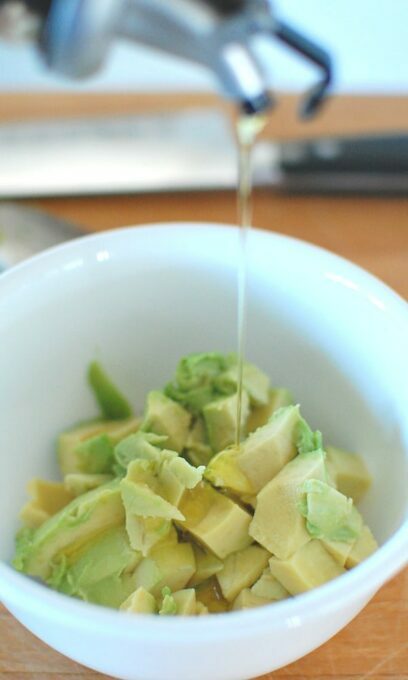 I diced up the avocado in the shell and then scooped in into a small bowl and added about 1/2 tsp of olive oil. Then added a pinch of salt and 1/4 tsp cayenne pepper. Next, I used a fork to give it a coarse mash, then spread it on the dry toast. 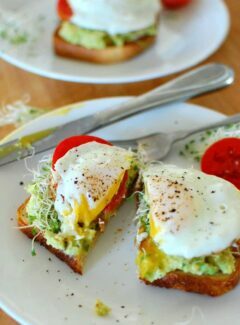 Then, added alfalfa sprouts and tomato slices, topped with a fried egg and ground some black pepper on top, (or a sprinkle of hot sauce). To fry the eggs, I used my new Lodge carbon steel fry pan which Mary Jo got me for Christmas. I’m still getting acquainted to using it. It heats up really fast and retains heat much like a cast iron skillet does. Stay tuned for future seared meat recipes made in it! I added a very small amount of canola oil spray to the pan and fried on medium to medium low for 3 to 3 1/2 minutes. Most of the egg white was cooked (except the inner 1/4 inch around the yolk). I turned off the heat and covered the pan for about 2 more minutes to complete the cooking of the egg white. Avocados are $1.00 each in Florida this time of year. 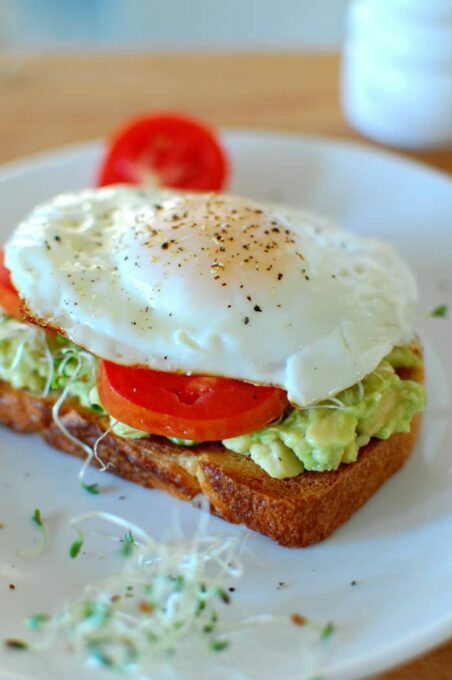 I’m going to make sure I have some ripe ones on hand to keep making this avocado toast with fried egg for breakfast. Try it for yourself and experiment with different seasonings. I’m sure you will love it. Yep my favourite breakfast i have about 6 days a week . Toasted flax and oats bread with half a mashed avocado on top . Then i put a soft poached egg on top and add a big dollop of my home made very spicy salsa. Sure wakes up the taste buds ..
Hey Joe…never thought of doing that. Might be a bit spicy but it might be pretty darned good. Give it a try! Oh wow, avocado toast is one of my favorite lunches. This looks like such an amazing version, can’t wait to try it!! I made this without the sprouts this morning and it was great! Would love your recipe for bread, the one with 1/4 wheat flour and 3/4 white flour. I was gone when Joe made this, but it looks wonderful and I can’t wait to try it. I just put avocados on my grocery list.. We’re about out of bread, so I’m going to start my Sharing Bread recipe tonight (from King Arthur Flour) to use for the toast! Yum! Flaxseed and oatmeal bread, ie. Sharing bread.